If a kitchen renovation is on your radar, and you plan to stay in your home long-term, you can figure on spending $20,000 or more—especially if you plan to rip out counters and re-configure your space. But if you’re thinking of upgrades that increase your home’s resale value, as well as your own enjoyment, there’s a lot you can do at minimal cost to bring your kitchen up to date. Appliances – Replace basic white or black appliances with stainless steel, which will not only update the look of your kitchen, but will likely be more energy efficient. Cabinets – It’s amazing what a coat of white paint will do to make your kitchen pop. If tired, old cabinets are beyond painting, re-facing them will save you big bucks over replacing them. Hardware – Replacing standard cabinet hardware with fresh, bold designs is the easiest (read, ‘cheapest’) way to upgrade the look of any kitchen. Choose hardware that’s trendy, like brass, which is making a comeback, or contemporary styles that make a statement. 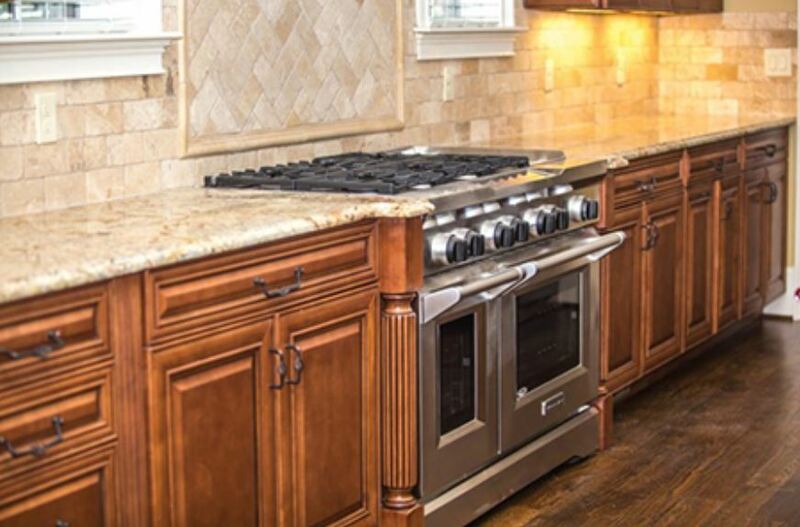 Countertops – High-end stone and ornate beveling are in vogue and expensive, but granite is becoming more affordable. Shop around for a good deal, and this upgrade may cost less than you think. Backsplash – A snazzy backsplash is a focal point in the kitchen, and the right one can draw the eye away from kitchen flaws that might otherwise be glaring. Choose subway tile, which is a classic and sought-after option, or add a splash of color with a variety of reasonable materials available at most home stores. Lighting – An instant style makeover can be as simple as replacing that old overhead fixture with recessed lighting, under-counter lighting, and/or new accent lighting over a breakfast bar or kitchen table.